Dirty John Is a Stunning Story, But Why Is It a Podcast? As a podcast, Dirty John is a tough listen. Not in the sense that the substance of the story that it’s trying to tell is a difficult one, though it certainly is. I mean that literally: The podcast is a crude construction, and its choices often come to the detriment of the actual narrative it’s trying to unfurl and ideas it’s itching to explore. 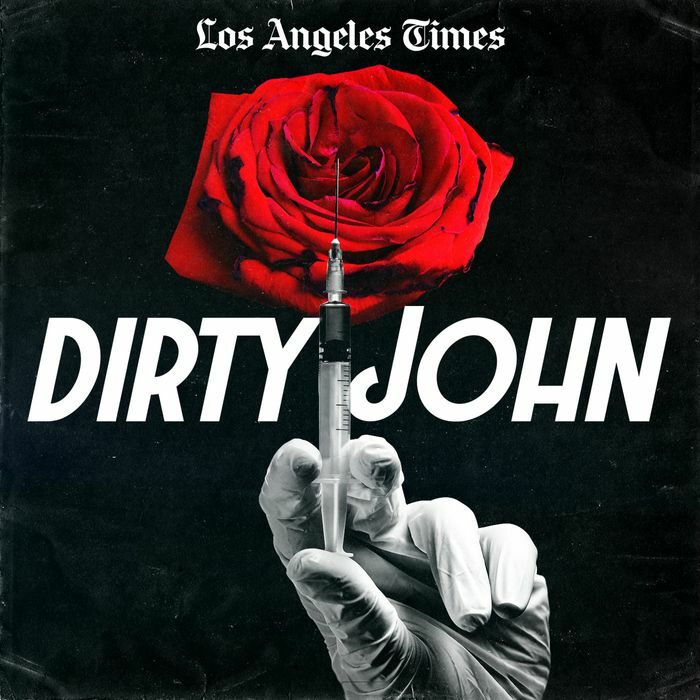 Which is a damn shame, because the Dirty John story, as reported by Los Angeles Times reporter Christopher Goffard in a six-part written feature, is a stunner. If you were to give up on the podcast midway through its first episode and switch over to the feature, you’d find a deep, complex tale of domestic abuse and psychological violence that’s rigorously reported, deftly written, and smartly laid out. The narrative begins in October 2014, and it follows the case of Debra Newell, a successful interior designer in Southern California who gets sucked into a seemingly unending nightmare. Newell gets involved with someone she meets on a dating site named John Meehan, who first starts out as the man of her dreams and gradually reveals himself to be a total institution of malice. What transpires is a dark, complex, and deeply claustrophobic case study of a disastrously common malady in American social life. The deeper we move into the story, the more its two primary subjects, Newell and Meehan, exhibit characteristics akin to a black hole, projecting both a terrifying opacity and a destructive gravitational pull that ensnares a wider network of children, family members, and associates. Twists and turns occur, not as means of surprise but as matters of necessity, and it ultimately crescendos into a striking, harrowing climax. As with a lot of stories about domestic violence, Goffard’s reporting is also a narrative about how societal systems — of courts, of information, of romantic norms, of social networks, of civilian bystanders — commonly fail us, and how they are routinely commandeered as weapons and tools by monstrous men. John Meehan is a classic con artist who seduces, menaces, cajoles, whines, and thrashes in turn; his is a persona that’s distressingly central to the current American mass consciousness. In a moment when the culture is grappling with the horrors of truly monstrous men in power, the story of John Meehan is an illustration of its more pervasive and civilian manifestation: the monsters who move through the various cracks of society in search of every intimate opportunity available to express their destructive wills to power. You get the sense that, were a few variables in Meehan’s path altered, you’d basically get the story of Harvey Weinstein. There’s so much that can be done here, which is why the podcast version of Dirty John is fairly disappointing. The production comes out of a collaboration between the L.A. Times and Wondery, a relatively new podcast network that operates off a portfolio of serviceable genre fare. Wondery is a functional shop, and that works pretty well as far as the current aesthetics of the podcast ecosystem go, but the bare-bones approach hampers what’s important about Debra Newell’s plight. The pacing of Dirty John is agonizingly disjointed, and it doesn’t do very much with the interview and archival tape that Goffard gathered, which is primarily deployed as functional connective tissue that rarely unpacks or elevates the emotional truths of the narrative. It does not earn its unexpectedly chunky runtime, averaging about 40 minutes an episode. Perhaps the most regrettable thing about the podcast is its use of music and sound design, which evokes the kind of cable channel muzak you’d get off the more quiet corners of your cable TV package (think Investigation Discovery) and constantly threatens to undermine the seriousness of Dirty John’s themes. None of this makes the podcast outright unlistenable, of course. It just doesn’t do very much for a story that’s already being told as a really effective written feature. Goffard, who also wrote and reported a similarly structured long-form project last year called Framed, has a strong cinematic sensibility and an eye for atmosphere — “He had thick dark hair and a warm, friendly smile that invited trust,” he writes, describing Meehan. “His eyes were hazel-green, with the quality of canceling out the whole of the world that wasn’t her, their current focus” — but none of that really translates to the audio version. To state the obvious, a sense of artistry matters in storytelling, doubly so for a nonfiction documentary piece like this. It’s important for both the basic throat-clearing stuff like scene-setting, as well as the meatier responsibilities like creating an environment where an audience feels engaged enough to absorb ideas. As a result, the Dirty John podcast isn’t particularly effective as a stand-alone experience, nor as a decent representation of Goffard’s reporting for folks who’d rather forgo the text. It might be considered a decent add-on — effective and appealing in the same way that DVD bonus material is effective and appealing, which I suppose is not insignificant — but I can’t help being tempted to ask whether the podcast was even necessary.